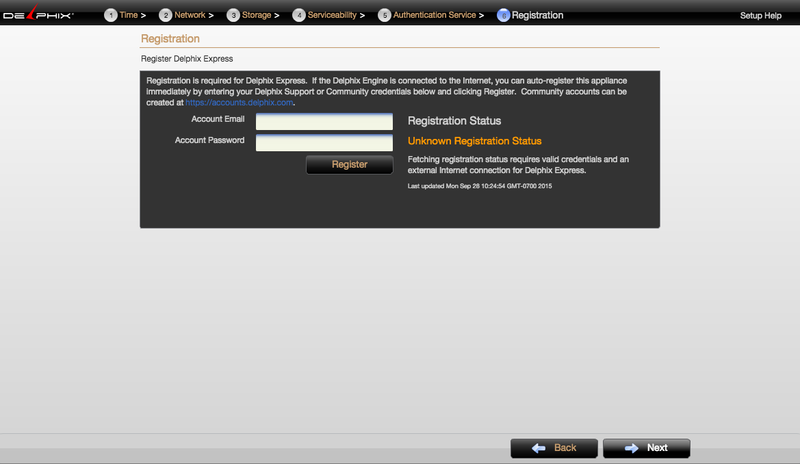 and create an account, then log in. You should see a DelphixExpress folder. Click on it and you can download the OVAs. 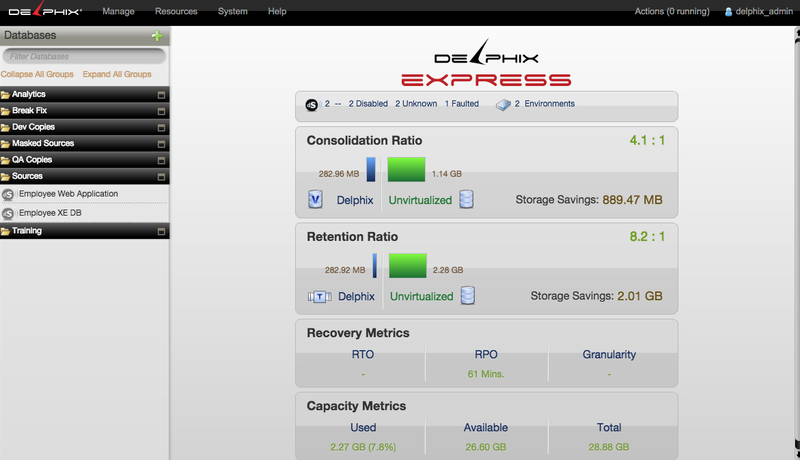 Delphix Express clones databases in minutes for almost not storage and will automates backing up you databases saving typically 30 days of backups down to the second in the size of the original database. 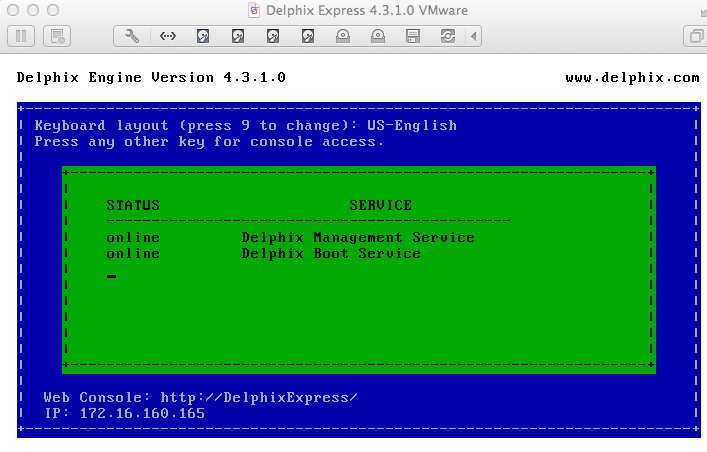 Delphix Express installs a virtual machine. 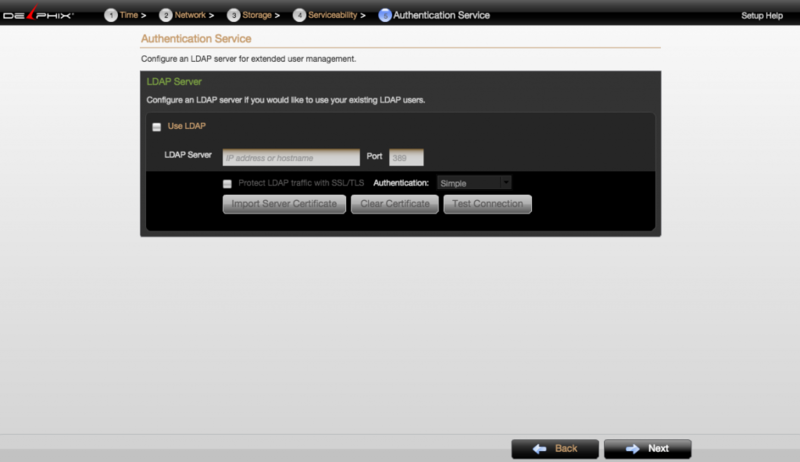 Landshark installs as 2 virtual machines, a Linux Source and a Linux target. 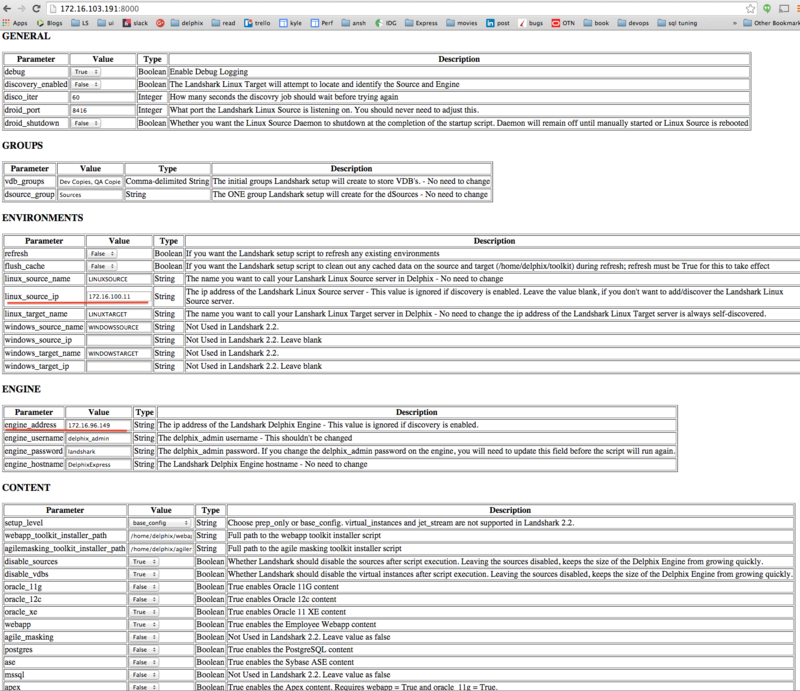 The source has an XE database and web application that uses that database. The target just has the XE binaries and no database nor web application. The target has scripts that run automatically and find Delphix Express and the source and autoconfigure. 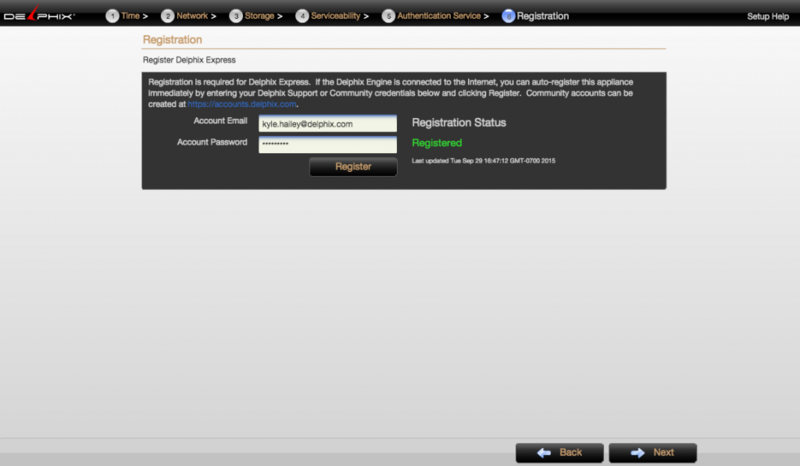 After the autoconfigure finishes, the Delphix Express is linked to the source database ans source web application meaning one can provision a thin clone or virtual database onto the target. 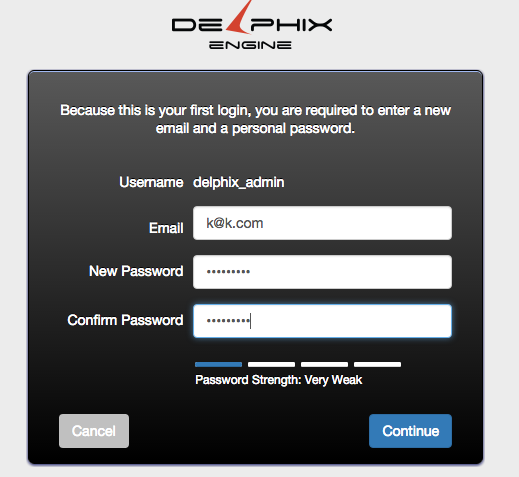 Landshark is not required for using Delphix Express but if you have never used Delphix, then it is a quick and easy way to start seeing how to use Delphix. Detailed install instructions can be found on the Delphix documentation website. 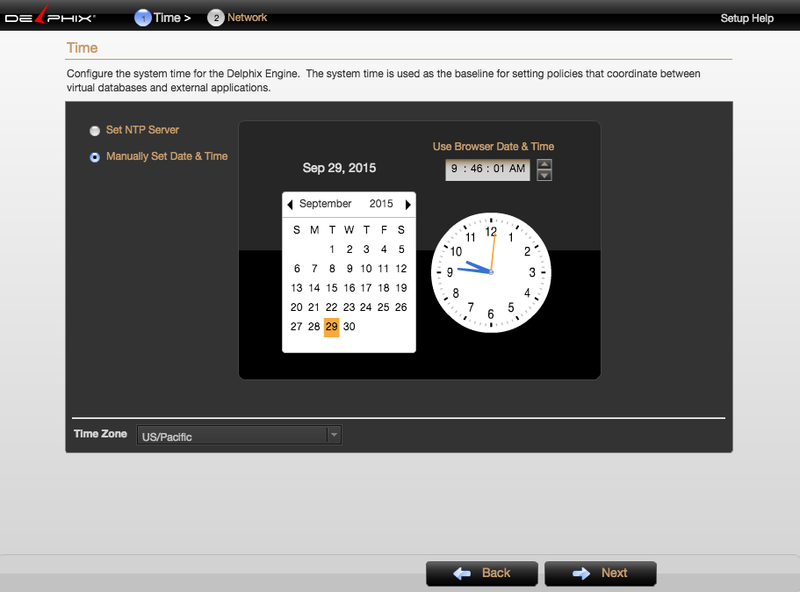 When the Delphix Express VM comes up, the consol will have a blue background and orange status area as in this screen shot. 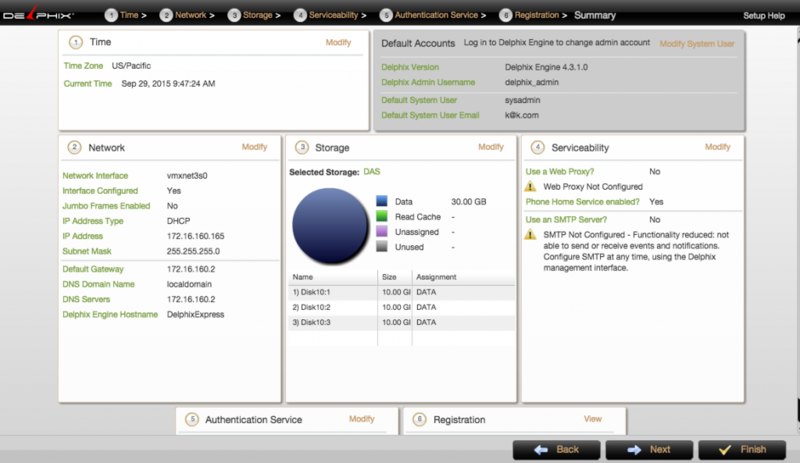 When the management stack comes up the status area will turn green, meaning we can access Delphix Express Web UI. The important part to look at here is the DNS server. You want to make sure that the DNS server has a legitimate. At your first login you will be asked to change the password. 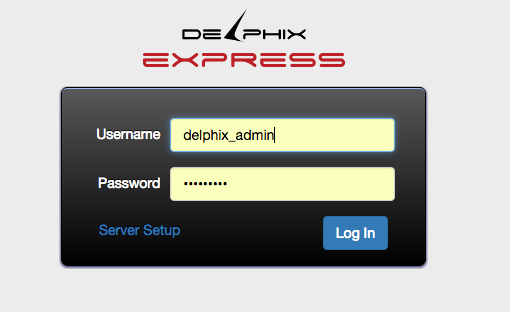 If the Delphix Express consol doesn’t populate with example folders and link to the data source, then you can check on the progress but logging into the target linux box as delphix , password delphix. For the registration issues, make sure that the DNS server is correct on screen 3 and if you have a web proxy that it is set up correctly on screen 5. Network setup is different on different hypervisors. VMware setup is much easier than Virtualbox. With VMware, you just need to make sure that each VM has it’s network set to NAT on windows or Linux and to “Share with my Mac” on Mac. Make sure that you can ping each of the the 3 VMs from the host operating system. 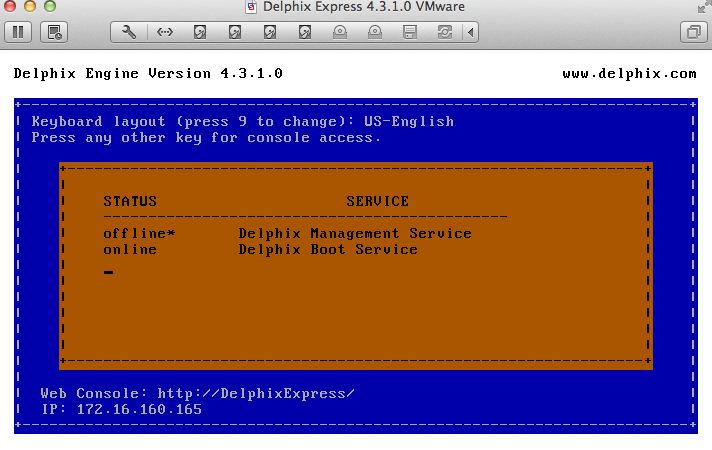 Setting up Delphix Express requires being connected to the network. A bad network connection, like wifi in a hotel or conference, can mess up the network setup. 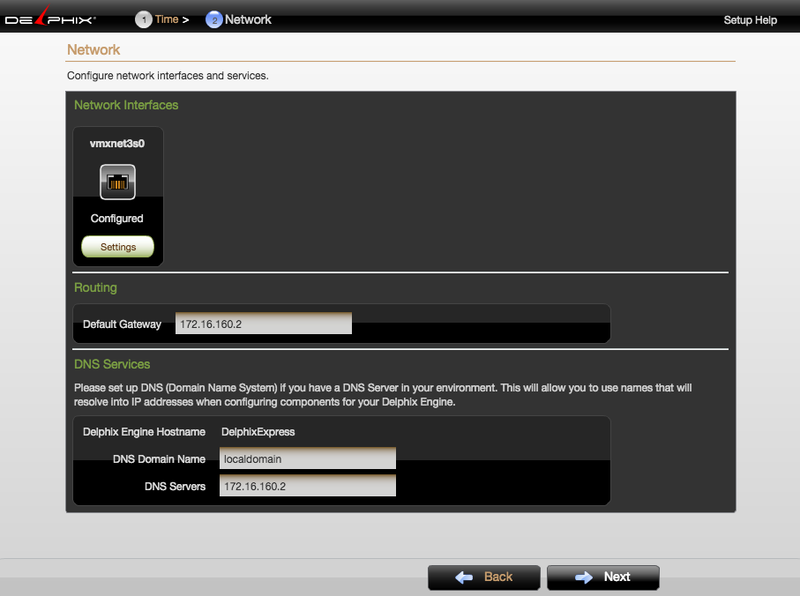 On Virtualbox there are extra steps to take to set up the network. 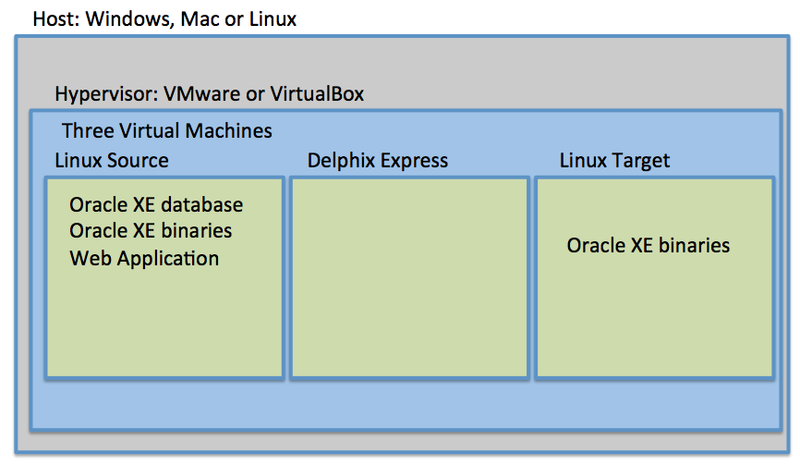 See the the docs on setting up Delphix Express for Virtualbox. after making a change, click the “submit changes” button on the bottom of the page. 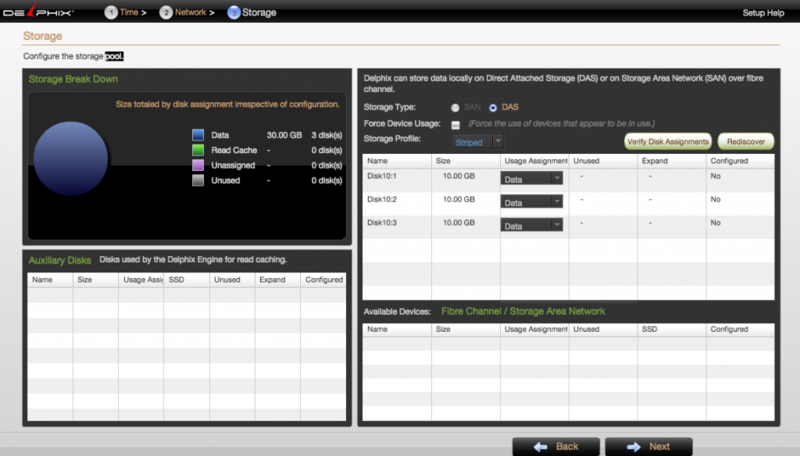 Configured Delphix using given templates in less than an hour. Awesome!! Thanks much for detailed information.